The mission of Collected Editions is to appreciate comic books in their trade paperback format. In a perfect world, this would work as an inviolable philosophy. Unfortunately, trade-waiting is not a tactic embraced by comic book companies. Some are better about it than others, such as Valiant, which has the title's next trade solicited on the last page of the current one. Marvel is getting a little better at putting out trades faster and at releasing softcover versions of hardcovers and omnibuses. DC may well be getting faster too, but in the case of one book, it isn't going to be fast enough. The first trade of Omega Men won't be released until March 2016. By then, the title will be gone. It's only through a massive outcry that Omega Men got a reprieve. From the response of DC, I get the feeling that it might have been a mistake that it was scheduled to be cancelled in the first place. Whether that's the case or not, it's a sign of just how thin the sales margins are at DC for a title to continue on or not. Writer Tom King has the first twelve issues plotted ... but if that's all he had planned, Omega Men would have been solicited as a mini-series, not an ongoing. 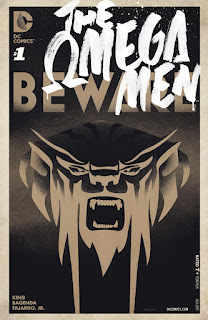 I wouldn't be writing this op-ed if I didn't feel that Omega Men was worth the hype and the backlash. And full disclosure: I didn't read the book at all until it was "uncancelled" a few days ago. While the DC Cinematic Universe wants to make Suicide Squad its equivalent of Guardians of the Galaxy, they're overlooking the fact that Omega Men literally is an edgier Guardians of the Galaxy. It's the complex tale of a revolt led by outlaws that would qualify as supervillains in other books (plus it has a towering character named Broot, but that really is just a coincidence). King and artist Barnaby Bagenda have reinvigorated some of DC's classic and underused alien races to give the series its own identity while maintaining some links to the main DCU. The major link is Kyle Rayner, and Omega Men has answered some of my lingering questions about how much of his origin changed after Flashpoint. While seeing him speak Spanish and use a rosary is a little off from what I remember, Kyle retells his origin with enough vagueness to fit the New 52 trappings while keeping certain specifics. The biggest one of these is his girlfriend Alex DeWitt, the original "Woman in a Refrigerator," who still exists in the current Kyle's origin story. This might seem like an odd detail to fixate on, but I started reading comics as a hobby to get ready for Green Lantern: Rebirth, and "Emerald Dawn" was one of the first trades I ever got. I still have a lot of questions about how Parallax and Extant played out in the new continuity, but King has kept at least some of the past intact. Barnaby Bagenda (along with Toby Cypress, the guest artist on issue #4) draws the book with a nine-panel grid on each page that really makes it feel like a movie storyboard. Pat Brousseau does some Simonson/Workman levels of sound effects, sometimes providing the only images on black panels. It really looks nothing like the often polished blandness (or the occasional Liefeldian horror) of the New 52. DC wants to gain new readers with "DCYou," so I urge you to support the first book from DC that I've truly enjoyed in years. As of this week, there are four issues of Omega Men out, with the fifth due out on October 7. Those four issues will cost you ten dollars on Comixology or about fifteen if you want to get them from your local comic book store. It's the same price you would pay for the same amount of issues as Saga, and I dare say that Omega Men is just as good. Trade-waiting only works if the title lasts long enough to continue past the publication of that first collection. Agreed 100%! I'm old enough to remember reading the original "Omega Men" run back in the '80s and how shocking the book was for its time. Tom King's version is familiar yet so very different, and I'm enjoying this intergalactic treasure immensely. I do hope the troubles this book has faced won't affect the collection of classic Omega Men that's supposed to be out in April, though frankly the rumors I'm hearing about that collection aren't good. What about the '80s series was shocking for its time? The level of graphic violence, especially from a DC book, was above anything I saw back then (this was around the time DC starting putting running series out without the Comic Code Authority approval, and on better paper stock (the 'Baxter' floppies as they were known). "The New Teen Titans" and "Legion of Super-Heroes" also got this treatment (with a renumbering), along with "Camelot 3000" and some other mini-series, if memory serves. The one and only original Lobo originated out of the original "Omega Men" series. I do hope they press on and put that collection out! I've already pre-ordered it on Amazon! That the original Lobo debuted in Omega Men is correct ("one and only" has been stretched pretty far at this point). Generally I'm surprised there hasn't been an Omega Men collection precisely because of that, and I might still think that would save the collection. At the same time, DC made a big push of late on Lobo that didn't seem to work out, so maybe that affects Lobo-related products across the board. The Slifer run on Omega Men, especially, emphasizes them as revolutionaries, not superheroes, and not some Star Warsified fantasy of revolution, either. Things frequently get rough and ugly (though sometimes I feel like the story acts like these actions are more shocking than they are... that might be a product of reading it for the first time in the post-Watchmen era, though). I've pushed back for years against the idea that tradewaiting causes books to be canceled prematurely. That argument seems to presuppose that there is a statistically significant audience waiting for the collection, and that rarely seems to be the case on these low-selling titles. Most of the time it's just more likely that the material has limited appeal in any format. Omega Men is a very good comic, well-crafted with inventive challenging storytelling that is much more nuanced than most Big 2 fare. But the very things that make it noteworthy also limit the scope of its appeal. It's possible the series will find new life as a collected edition, but if it does it will be one of the exceptions among books of this sort. It's a good read, though, and the 8-page preview is free on comixology for anyone interested in checking it out. That trade-waiting cancels books is not an idea I'm fond of either, being as it were a trade-waiter, though in some situations it's harder to refute than others. Can you take your idea that there's not a statistically significant audience waiting for the collection, however, and address for instance Green Team, How does what you're saying supported or refuted by what happened there? I'd have to know the sales for the single issues or collections of Green Team, which I do not, I'm afraid. (Was there even a Green Team collection?) That one seems to me to be the definition of something with limited appeal. I actually read the first issue of that and it was... fine? Not a bad comic but pretty standard mid-list DC fare - it's hard for me to imagine there was a vast audience of tradewaiters waiting to pick it up. Green Team was cancelled, but I guess the difference is, if it was cancelled "mid-stride," at least the creators hadn't said "we have a miniseries-like plan" that cancellation foiled. But whereas Omega Men was cancelled and the promise of a trade wasn't rescinded, it just wouldn't have been the "complete" book as stated by the creators, Green Team's cancellation then lead to the trade also being cancelled (though it was released, thankfully, in digital, so not completely cancelled). So maybe that helps your idea that there aren't really that many trade-waiters, statistically speaking? Because then it would have been worthwhile to print the Green Team trade despite cancellation, and apparently it wasn't deemed worthwhile. Yea clearly DC felt that way, though they're not inallible of course. But yes in general I just don't think there are very many people actively tradewaiting the mid-list DC (or Marvel) books. Just a gut instinct - my understanding has always been that the sales of collected editions of most of those series are pretty modest, and not all of those sales are to tradewaiters (as opposed to double-dippers, impulse buyers, people who didn't hear of the series before the trade came out, etc.). Infallible, that is. Proving once again that neither am I.
Ah, so not that trade-readers might or might not outnumber serial readers in this or that given situation, but that on mid-list, low-selling titles, your thought is that the number of people specifically waiting to buy just the trade might be small. Hmm. I think your money spends just like everyone else's. If you're buying comics, in whatever format, you're supporting the industry. I'm really, *really* not a fan of people telling paying customers that they're somehow harming the product they're purchasing because they're not buying the "right" books or doing it the "right" way. That's gross. Buy what you like and the rest will work itself out. This caused me to buy digital copies and subscribe to Omega Men, as well as the critically lauded Prez. Probably won't read them until the trade comes out, but wanted to show my support. I really hope that 80s Omega Men trade isn't canceled. That was a great series. Thanks for the high praise -- I'll grab Omega Men ASAP!! I've been hearing wonderful things about this series, and very disappointed that DC so quickly decided to cancel it. You'd think they'd have waited until 6 issues came out at least. Well I guess I got to make a trip to my comic store now. The worst thing about this was that DC 'promised' to put out at least 12 issues, which is how writer Tom King structured his overall story arc. So to be told that they were cancelling the book after only four issues were out was, to me, a slap in the face of those who took DC for their word. It was the reminder to DC management of 'the promise' of 12 issues that caused Jim Lee to tweet, saying they made a mistake, and 'Omega Men' will get at least 12 issues. It really is a smart, wonderful book. This particular reason is why I think the cancellation might have been a mistake in the first place. It looks like someone in sales decided that they needed to cut x amount of low-selling titles, not noticing or knowing that one of them was Omega Men. Still, it's a wake-up call. I was originally waiting for trade on Omega Men, but have gone back and picked up the early issues and added the title to my pull list. I have a gripe about the trade, however. Tom King structured his story as 12 issues, with a definite beginning, middle, and end. Why DC insists on collecting the series in two trades instead of one is beyond me. The casual reader is more likely to pick up one trade for the whole story than to read half of it and wait six months for the conclusion. 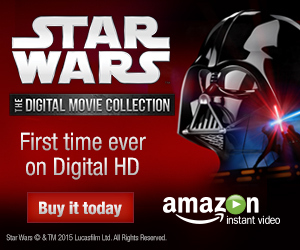 I think they could use their "digital first" line for that kind of titles. Don't reprint them as floppies, go straight to trade! So Omega Men has been relisted as a "Complete Series" instead of just a Vol. 1. Its release date has been pushed back to August, two months after #12 would hit. I'm glad for the resolicit, but I hope the words "Complete Series" go away. Just seems confusing if there's never actually a Vol. 1/Vol. 2.